Since launching in 2007, Google’s Street View has mapped 99 percent of American roads and dozens of other countries around the globe. But Germans still aren’t budging. 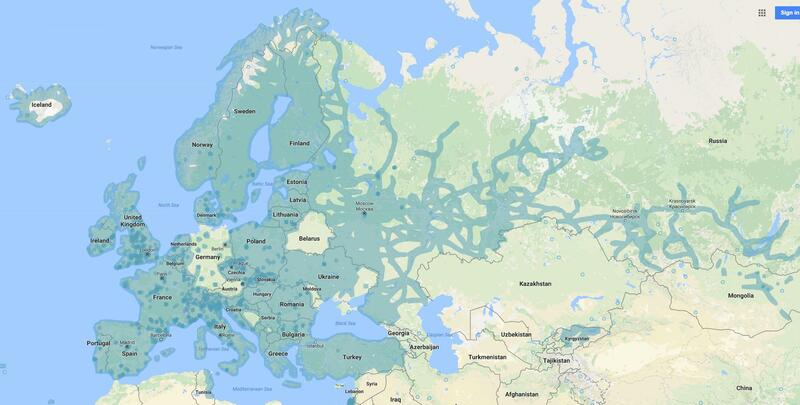 This map, which color codes European countries according to their Street View coverage, really says it all. Spain, France, and most other countries long ago welcomed Google’s special cars, which are decked out with GPS monitors and cameras to give users geographically accurate images of a city’s streets. Germany’s intense culture of privacy means that, even in 2017, many of the nation’s roads remain a mystery — at least to Google’s roving mechanical eyes. Made from Google’s own data, the map sums up a long history of the company’s troubles with Germany. It all started in August 2010, when Google announced it would be mapping Germany’s 20 largest cities by the end of the year. But many Germans were outraged. Germany has resisted Google's Street View mapping efforts. Privacy has long been a central issue in Germany. As The Economist and other outlets reported, the legacy of the Nazi’s Gestapo police and East German Stasi still holds power over citizens. That’s had a host of repercussions, including the passage of the world’s first data protection law in Germany in 1970. Naturally, many Germans remain predisposed against the Street View mapping. It was soon discovered that Google was breaking the law by ripping off personal data stored on unencrypted WiFi networks, a big no-no in just about everywhere, but especially in Germany. To try salvaging the situation, Google took the unprecedented step of blurring not just people caught on camera, but some houses. Eventually, Google just kind of gave up. Today, many of the streets Google mapped are still available, but they haven’t been updated in years and typically have numerous blurred buildings. That doesn’t necessarily mean things will always be this way, however. Even back in 2010, the major source of outrage was small, if powerful, as just 3 percent of German households actually requested their houses be blurred. Younger Germans and recent immigrants seem more open to mapping, data sharing, and social media than past generations. But that doesn’t mean they’ve signed up for Twitter en masse or stopped preferring the anonymity of cash over the traceability of credit cards.